The Chase Ink Bold and Plus are two of my favorite business credit cards for many reasons. First, they have a 50,000 Ultimate Reward Point sign-up bonus. Second, they offer great rewards, including 5X points on office supply stores, phones, cable, and internet. And finally, the best part about these cards is that the annual fee is only $95 and is waived the first year! Most other business credit cards have much higher annual fees, an example being the American Express Gold card which has a $175 annual fee. If you are interested in signing up for a business credit card, the Ink Bold and Plus are great options! The word business is definitely open to interpretation. Do you sell things on eBay, Etsy, or Craigslist? Do you have a lemonade stand? Are you planning on starting a business in the future, but don’t have the money yet? Well perfect, you have the qualifications to apply for a business card! All you need to do is take part in business activities or have the intention of creating a business. If you do, then congratulations you are a start-up business! The main difference between the Ink Bold and Ink Plus is that the Bold is a charge card and the Plus is a credit card. The Bold cannot carry a charge like a credit card can, it needs to be paid off in full every month. So which one should you sign up for? Get them both. Start with the Bold then 3+ months down the road get the Plus. That way you can get 100,000 Ultimate Rewards Points just for signing up. 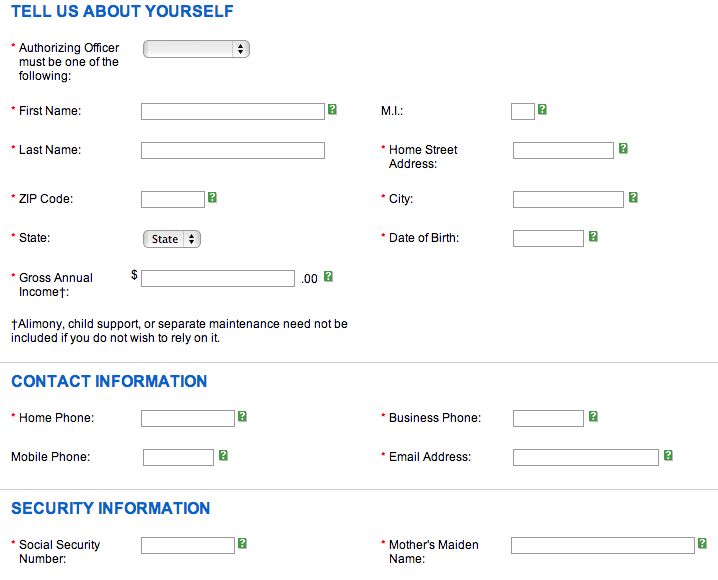 The first section of the application asks you for information on your business. The trick is to be completely honest on your application. Legal Name of Business: Enter the name you want your business to be called. Business Mailing Address: Enter the address where you will be conducting your business. If you are selling online, then you would use your home address. 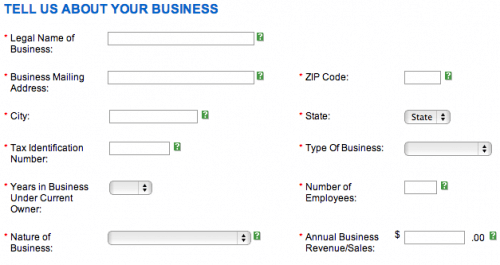 Tax Identification Number: If your business is just starting up there is a good chance you do not have a Tax ID number yet, so you can enter your social security number in this box. It will show up like this: 12-3456789 which is completely fine. Type of Business: Select Sole Proprietor, unless of course you are something different. 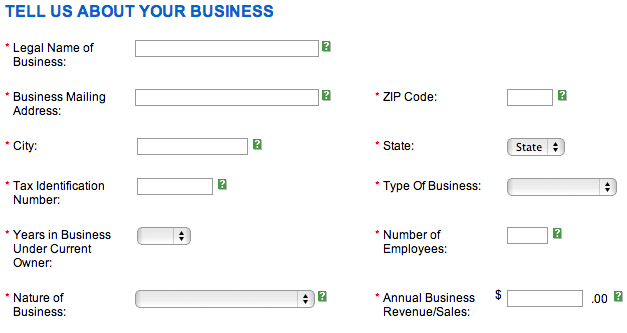 Years in Business Under Current Owner: I selected 1, because it does not let you select 0. Number of Employees: This would be 1 if you are a Sole Proprietorship. Nature of Business: Since my wife signed up for our card to start an Etsy store, we selected Retail. You can choose whichever category best fits your business. Annual Business Revenue/Sales: Be honest, if you have not made any sales and do not plan to, put $0. The rest is very self-explanatory, especially if you have signed up for credit cards before. Again be honest on these applications, nothing good comes from lying. After you submit the application, there is a good chance it will go into review. Don’t panic if that happens. My wife’s application went into review, so she tried calling the next day. They simply asked her to verify some information on her application, after which she was approved. I had two friends apply for this card that were denied and one of them actually did own a business with a tax ID. So, there is no guarantee that you will be approved.